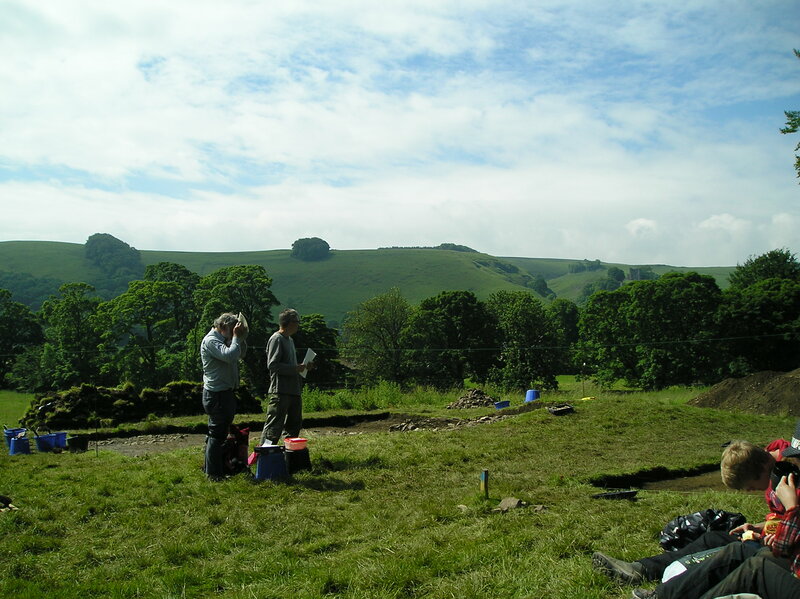 Guest Blog: ‘Archaeology and Me: A Volunteer’s Perspective’ by Mike Young. Dr Mike Young is a former dentist whose career has including running his own practice, working as a clinical teacher, and as an independent expert witness. He is now a full-time author. His first book, ‘Managing a Dental Practice: The Genghis Khan Way‘, won the 2011 Diagram Prize for the Oddest Book Title. He has also had published ‘How to be an Effective Expert Witness‘. He is currently working on a second practice management book, alongside a novel. Mike’s interests away from dentistry include archaeology, history and the arts. He has been a volunteer at York Archaeological Trust for over eight years. I was flattered when David asked me to write something for his blog. He suggested several topics, but in the end it was left up to me what I wrote about. After some thought I decided that a piece about how a ‘retired’ dentist ended up as a volunteer for York Archaeological Trust (YAT), and about what, if anything, I got out of it, or indeed if I gave anything to them, apart from my time, that is. It has to be taken as read that anyone who volunteers for YAT has an interest in archaeology. Mine was not what you could call a passion or an obsession, it was more your passing interest type of interest. I’d been on a dig at the then recently uncovered Roman fort at South Shields (Arbeia) when I was about twelve or thirteen, but after that my interest was confined to Time Team, tramping around Roman remains on Hadrian’s Wall, and reading books. So when in early 2004, after I’d had to give up my career as a dentist because of arthritis in my hands and wrists (not a good thing for a dentist to have!) I applied to volunteer at YAT, and you’d probably say that I had no more than a working knowledge of what archaeology was all about. 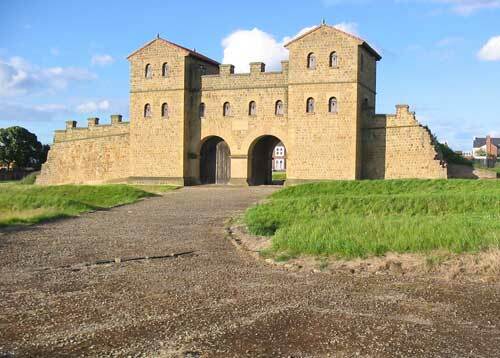 Arbeia Roman Fort in South Shields, England. The first thing I learnt was that there were an awful lot of volunteers at YAT. In fact, where I worked in the Finds Department, it was nearly all volunteers. This is clearly good for YAT and good for those who want to experience archaeology at first hand without being employed. Apart from the number of volunteers, the next thing that struck me was the relaxed pace of it all. I’d come from a background where time was everything: keeping to time and charging for time were the prime daily objectives. Not anymore. And then there were the people; again, very different to those I’d been used to, but in a good way. Dentists can be a weird lot, which is probably why I never really mixed with many of them socially, but I found everyone at YAT so friendly and so sociable. Lunches to celebrate birthdays, after-work visits to the pub, and meeting up at weekends with some of those I work with have all been part and parcel of what for me is a very happy working environment. YAT get one day a week from me, although this is flexible. I like to think that what I give them is worthwhile. In return they give me the opportunity to do something I really enjoy. The social side is important, and is probably the best thing that all of the volunteers get out of it. I didn’t go to YAT with any aspirations of becoming a Dental Anthropologist or such like, but obviously my knowledge of teeth and dental diseases could have come in useful to them at some point. However, one other thing that I quickly picked up at YAT is that there’s very little money in archaeology, so when I was asked by someone outside of YAT to do some dental analysis on a collection of skeletons, and I asked if I would be paid, the reply was ‘No’. I stopped offering and certain people stopped asking. Despite this, I did work on the skeletons for the Plague, Poverty and Prayer exhibition at Barley Hall in York 2009-10. 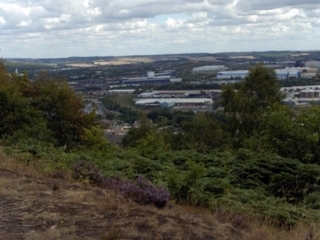 Further details and the publication can be brought here. As I got to see more and more skeletons and more and more teeth I began to think about what problems the owners of the teeth might have experienced as a result of the condition of their teeth and gums. This led me to put together an article for Yorkshire Archaeology Today (18) titled ‘What’s behind a smile?’. The article can be read here. On the back of this, one of my fellow volunteers asked me to give a talk to their local archaeology group about teeth and archaeology, which I did in 2011. Mike’s article in Yorkshire Archaeology Today. Secretly I think I had hoped that YAT would have made more use of my dental knowledge, but sadly this has not really been the case. Although in reality I doubt if I would have had the time, what with writing a prize-winning book and all my other writing commitments, but it would have been nice to have been asked.